Such was the opening spiel of ASP Cavite Chapters Gobernadora, Jan Peña during the 4th World Autism Awareness Day Celebrations. 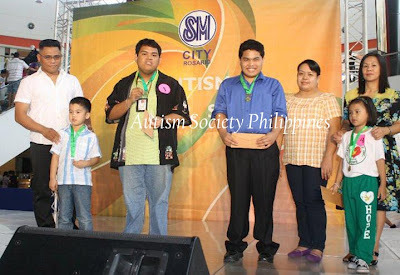 The activity was in partnership with and SM City Rosario, last April 2, 2011. “Autism Special Stars,” highlighted extraordinary talents of children with autism by giving the public an eye-opening and heart-rending show. ASP member schools and partner public schools rendered delightful songs, dances and musical numbers (drums). Colorful creations were made by children with autism in the “Art Challenge” contest. Well-deserved medals and cash prizes and tokens were awarded to participants. Be-medaled singing stars pose with judges: (from left) Mark Buendia, 6 yrs. old, of Aid of Angels Behavior and Therapy Center, General Trias (1st place); Jodense Valenciano, 19, of Holy Nazarene Christian School, Tanza (2nd place); Kevin Batiola, 15, of God’s Gift SPED and Learning Center, Trece Martires City (3rd place) ; and Jinn VIsto, 6, of Heart of Peace for Early Intervention and Child Development, Inc., Noveleta (4th place). “Mama… Yes Anak?" Book Launch followed after the activities. Dr. Ma. 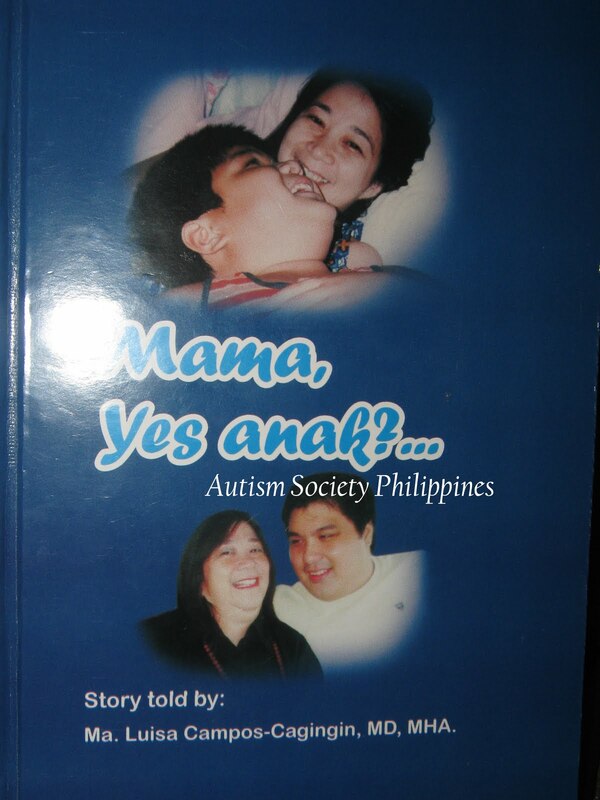 Luisa Campos-Cagingin, President of ASP Dasmariñas Chapter said Chico, her son who is now 25 years old, is the inspiration behind the book, and also instrumental in leading her to open a school for children with special needs in their city. Angels Walk for Autism Photo Exhibit featured photos of families depicting candid moments between mothers and children with autism. Photos captured the salient thoughts…. ASP Cavite Chapters Governor, Jan Peña invited the rest of the Cavite community to join hands in unity to support ASP Cavite Chapters Programs and Services. 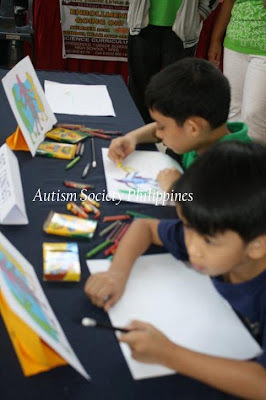 The activities were participated by parents, siblings, family members, Special Education Centers from ASP Cavite cluster chapters namely ASP Bacoor, Dasmariñas, Carmona, Gen. Trias, Molino, Tanza, Trece Martirez, Cavite-North Chapters; as well as those from Noveleta, Rosario and Balayan, Batangas. ASP continues to work towards an inclusive environment for persons with autism. Help us to continue Sharing Hopes and Building Dreams. Donate generously to ASP Programs and Services. Deposit to Autism Society Philippines Metrobank Kamias Branch 047-3-04751874-2. Email us at autismphils@gmail.com or call us at 9266941/9298447.